This tutorial shows how to create a Portfolio Gallery post in CherryFramework 4 template. Navigate to Portfolio -> Add Item in your WordPress dashboard. Specify the title for the new Gallery post. Scroll down the page, locate the Post format options and click Choose Media to add images to the post. You can click Upload Files and upload files from your PC or select images from Media library. Select the image from the Media Library and click a Choose Media button to add it to the post. 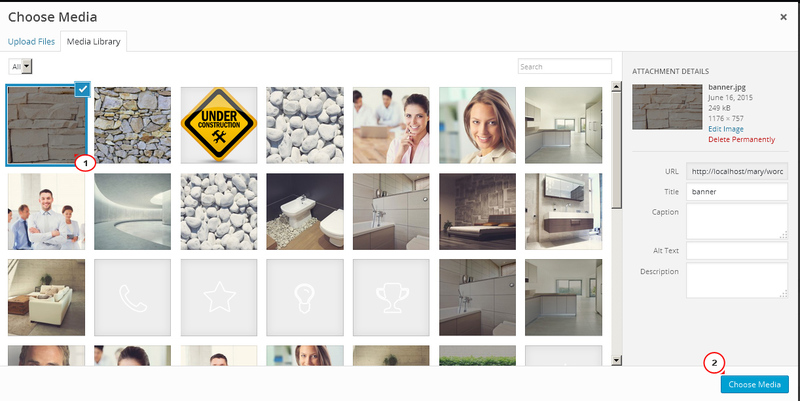 In Effect Layout options field you can set the Slide, Fade, Cube or Overflow effect to images. Do not forget to click the Update button after changing the post format options to save the changes. There is also an option to change the Space between the slides. You can create the Multi Row Slides layout – select the number of rows to set. The Slider Infinite Loop option makes the slider images move in a loop. If it is set to No, the vertical scroll (the carousel) will be disabled. If it is set to Yes, Slides will move in a loop as a carousel. The Mousewheel control feature allows to enable or disable the option of scrolling images with your mouse on the slider. You can also change the duration of slider images transition to your needs and enable or disable the Free Mode sliding feature. If the feature is enabled, the gallery post images will be displayed in the random order. In case you’re searching for premium themes to build a website from scratch, look through wordpress themes for art.